Construction work of the Jewar airport will start before 2019. The new airport will be used for allied services of Maintenance Repair and Overhaul (MRO) also. The airport will be built on an area of 7,500 acres and will be the biggest one in the country. In the first phase, construction work will start on 4,000 acres. “We have earmarked 7,500 acres of land for the purpose,” said Kumar. 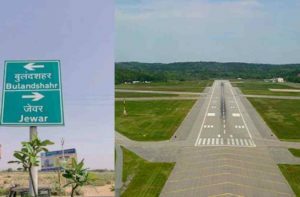 Jewar’s airport plan is in sync with the central government’s plan to build capacity to meet the long term demand of the industry rather than focus on adding incremental capacity.” said Prabhat Kumar, Chairman of Yamuna Expressway Industrial Development Authority. Yamuna Expressway Industrial Development Authority (YEIDA) is also planning to enhance connectivity between the planned international airport and nearby cities and highways. YEIDA has proposed at least three alternative routes that will provide connectivity to the commuters. “Jewar will be connected to the planned expressway between Palwal and Khurja, and Yamuna expressway, at the point the two intersect near Sabota Mustafabad and YEIDA’s sectors 30, 31, 7 and 8, by a 7.5-km link. The second is the extension of the 130m-wide road between Noida and Sirsa, all the way to Jewar, making it a 46 km stretch in total. The stretch of this road between Parthala Khanjarpur in Sector 122, Noida and Sirsa-Kasna in Greater Noida has already been constructed,” said YEIDA Chief Executive Officer Arun Vir Singh. “We will be sending a proposal to NCRPB regarding the proposal to link Yamuna expressway to the Palwal-Khurja expressway. The 130m road was earlier proposed from Greater Noida till YEIDA’s Sector 20, but we will now take it ahead to Jewar. A survey for this extension will be carried out soon,” he said.